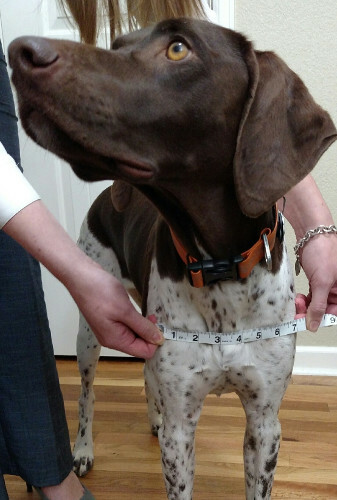 Measure the width of the widest part of your dog, it's usually the shoulders. Open a door just wide enough for you pet to easily walk through. Then use a tape measure to measure the door opening. 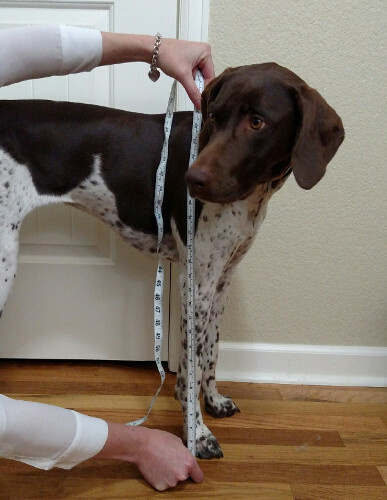 Measure the distance from the floor to to top of your dogs shoulders. Use a ruler to measure small dogs under 12" in height. For larger dogs, mark their height on your leg using your hand then use a tape measure to find the distance from your hand to the ground.